The EEOC has released its Performance and Accountability Report summarizing its fiscal year 2012. 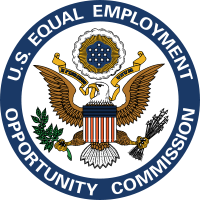 The EEOC reports a record level of recovery in discrimination matters for the year. The organization filed 122 lawsuits throughout the country with 20 percent of agency cases involving systemic allegations against the defendant. Administrative enforcement (mediation, settlements, conciliation) in the private sector amounted to $365,400,000. Through litigation, the agency recovered $44,200,000. Rising health insurance premiums have plagued employers for several years. There is significant fear over future costs. Upcoming requirements under the Affordable Care Act will place employers in a position of balancing those costs with potential federal penalties. Beginning in 2014, large employers may be penalized if they do not offer full-time employees and their dependents minimum essential coverage or offer coverage that is deemed unaffordable. A “large employer” is defined as one that has 50 or more full-time equivalent employees during the preceding calendar year. A full-time employee averages 30 or more weekly hours of work. Hours worked by part-time employees are included in the calculation. These penalties amount to $2,000 per year per full-time employee (starting with employee number 31). an employee receives a subsidy for coverage through a state exchange. If coverage is not affordable, employers may be penalized $3,000 per year per employee who receives a federal individual insurance subsidy. Wilson Worley employment attorney Sam Booher covers several topics in the April 2013 newsletter: (1) The proposed Fair Minimum Wage Act of 2013; (2) Request for Supreme Court review of the ruling that invalidated recess appointments to the NLRB; and (3) Yahoo’s decision to discontinue allowing employees to work from home. Click here to read the full newsletter.